UPDATED: Mon., Sept. 10, 2018, 6:04 p.m.
PULLMAN – You don’t become a great fourth down team without first becoming a bad third down team. That’s one of many lessons Washington State has learned through the first two weeks of the 2018 football season. The Cougars may be proud of their FBS-leading fourth down conversion rate, which sits at 7-of-9 (77.7 percent) after games against Wyoming at San Jose State, but at the same time they’re cognizant of the fact it’s partly a byproduct of missed opportunities on third down. WSU is just 7-of-28 (25 percent) on third down and tied for 117th in the country. WSU moved the chains five times on fourth down in the first half of Saturday’s 31-0 win over SJSU. In the first quarter, the Cougars were left in no man’s land, facing fourth-and-10 on the Spartans’ 36-yard line. Too close to punt, but probably too far to feel good about redshirt freshman kicker Blake Mazza hitting a long field goal. Quarterback Gardner Minshew dropped back and flung a pass toward the left sideline, hitting Tay Martin for a touchdown that made it 14-0. Minshew and Martin nearly made it two touchdowns on fourth down later in the half, but the receiver couldn’t hang on to a long ball in the front end zone, although refs thought he’d brought it in and initially signaled a touchdown. A pass interference penalty on the Spartans allowed the Cougars to keep the drive going. The Cougars will simulate third-down situations more often in practice this week, with repercussions for those times the offense is not successful. 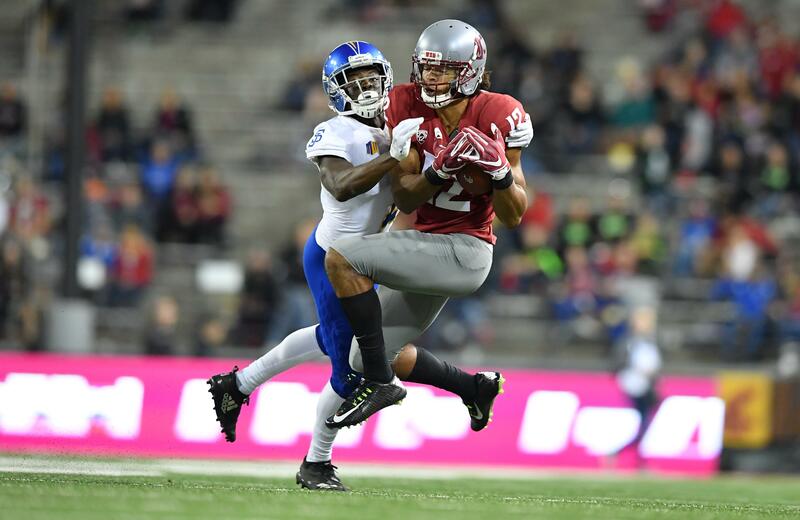 That began Sunday evening at Martin Stadium, some 24 hours after the Cougars went just 4-of-14 on third down in their home opener against the Spartans. So, success on fourth down is fine. Not getting there in the first place is even better. Published: Sept. 10, 2018, 5:59 p.m. Updated: Sept. 10, 2018, 6:04 p.m.